Type A: Protective glove with permeation resistance of at least 30 minutes each for at least 6 test chemicals. Type B: Protective glove with permeation resistance of at least 30 minutes each for at least 3 test chemicals. Type C: Protective glove with permeation resistance of at least 10 minutes for at least 1 test chemical. 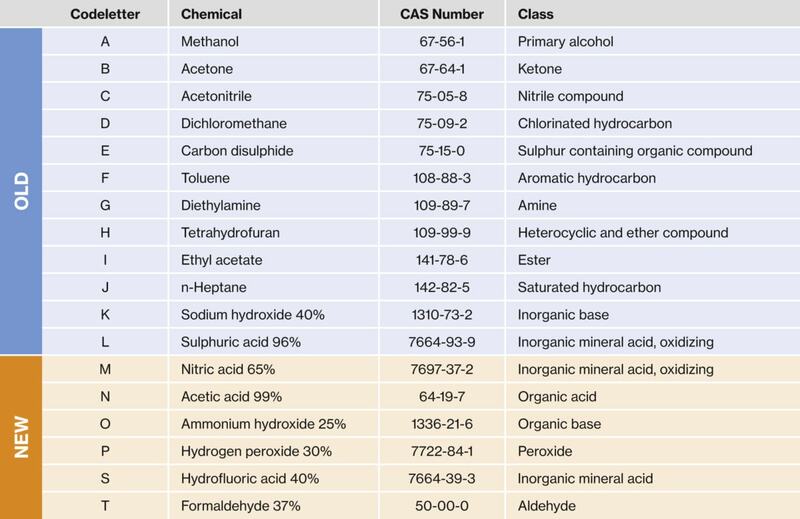 With regard to the new classification, experts already agree that the 3 new type classes are unlikely to generate new differentiations between the product categories already on the market. Most chemical protective gloves can be assigned to type class A; only thin disposable protective gloves will be assigned to types B and C. The practical use for the user is debatable. uvex will of course certify all affected products in accordance with the latest version of EN 374; the applicable measures have already been initiated. This standard has been removed and replaced by EN 16523-1:2015, Determination of material resistance to permeation by chemicals — Part 1: Permeation by liquid chemical under conditions of continuous contact, in the Official Journal after harmonisation. There is no significant effect on the test method. This part is new and takes into account the effect of degradation (change of glove material) by the chemical. Degradation can cause brittleness, swelling or shrinkage of the polymer material, for example. This is equivalent to a changing barrier function against the chemical. This standard now creates a standardised measurement method for degradation for the first time. This standard is expected to become effective in 2017. It should be observed in particular for the risks of contact with micro-organisms (bacteria/viruses). What effects does the standard have on users? Users will only notice the application of the changes to EN 374 on the marking of the protective glove. From a user perspective, the standard is mainly used for product comparison and also offers security that the product has undergone standardized certification. Application consulting with the manufacturer is still very important. The specific requirements for protection must be identified as part of a risk assessment of the actual activities in the workplaces and must take the specific working conditions into account. The user or the responsible occupational safety experts should define the individual requirements and ask the manufacturer for the specific protective performance of the protective gloves. With the uvex Chemical Expert System, uvex offers a multilingual, online-based platform for researching individual permeation times. There are also experienced employees available on site and in the competence centre for protective gloves in Lüneburg who will be happy to answer any questions about chemical protective gloves. Thank you very much for sharing this most informative post which will be useful for a maximum of the people around the globe. Question. It is possible to check if the requirement from our client exist in gloves?